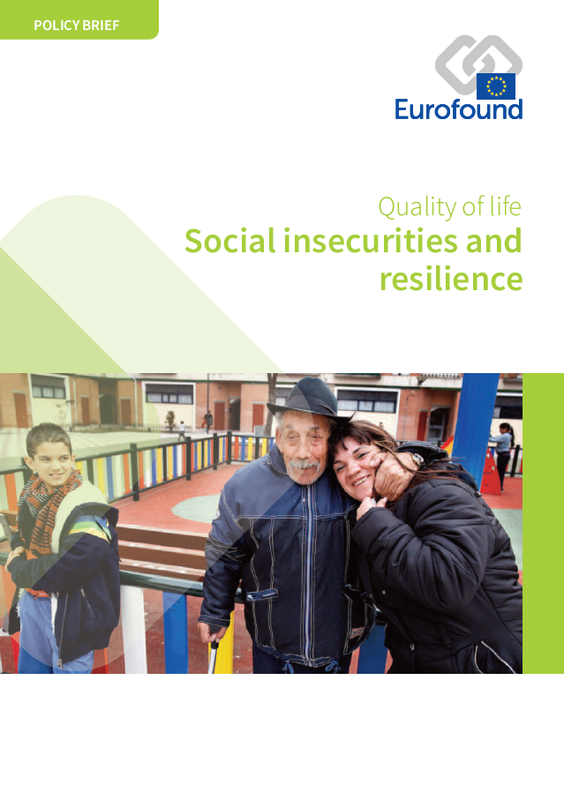 Eurofound’s European Quality of Life Survey (EQLS) documents living conditions and people’s social situation, and explores issues pertinent to the lives of European citizens. The EQLS 2016 interviewed nearly 37,000 people in 33 countries – the 28 EU Member States and 5 candidate countries (Albania, the former Yugoslav Republic of Macedonia, Montenegro, Serbia and Turkey). It provides information on a broad range of issues in three main areas: quality of life, quality of society and quality of public services. An overview report European Quality of Life Survey 2016: Quality of life, quality of public services, and quality of society is available as well as a series of further analyses in the reports and policy briefs listed below. 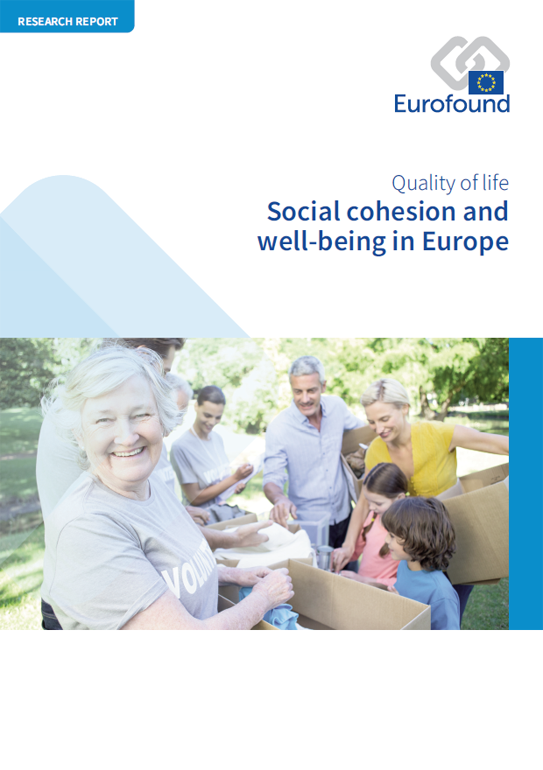 The report Social cohesion and well-being in Europe provides an analysis of European societies in terms of social cohesion – in particular, social tensions, perceived social exclusion and community engagement are explored as key dimensions. It analyses the links between societal characteristics (quality of society) and well-being of different social groups. The analysis looks at how perceived levels of societal tensions have changed in European societies over time (2003–2016). It also examines which dimensions of social cohesion are most important for individual well-being. As data from the European Quality of Life Surveys and Eurobarometer show, the sharp decline in trust in institutions was a temporary phenomenon during the recession. In some Member States, trust in the EU declined more during this period than trust in national governments, but trust in the EU has generally remained higher than trust in national governments in most countries. The report Societal change and trust in institutions shows that moderating social tensions and feelings of social exclusion can help to stem the decline in trust. However, to boost trust in institutions, improving the quality of public services is the most powerful driver. Feelings of insecurity in several dimensions of life are widespread in the EU population, even among those who are materially well-off. Policymakers need to take these insecurities into account to better understand the concerns and dissatisfactions of citizens. The policy brief Social insecurities and resilience examines people’s insecurity in five areas: personal, housing, healthcare, employment and income in old age. It identifies where intensity differs among people depending on characteristics such as age, gender and economic circumstances. The brief concludes that offsetting social insecurities depends on more than individual resilience. Much policy is developed and operationalised through the prism of age, and addressing differences in the economic and social circumstances of different age groups is an ongoing concern of policymakers. The policy brief Age and quality of life: Who are the winners and losers? looks at inequalities in the quality of life of Europeans across six age groups. It examines developments between 2011 and 2016 to assess whether the impact of the economic crisis on quality of life has decreased with the economic recovery, for which age groups and in what countries. People with disabilities are among the most disadvantaged groups in the EU. The policy brief Social and employment situation of people with disabilities examines the social situation of people of working age with disabilities, using data from the 2011 and 2016 rounds of the European Quality of Life Survey (EQLS). The brief looks at changes over this period in employment, education and training, participation in society, social protection and healthcare, all priority areas of the European Disability Strategy. The brief also looks at the subjective well-being of this group of Europeans and examines the factors that influence their well-being. Is rural Europe being left behind?